What kind of power is lurking inside him? After a year of training to become a dragonrider, Jaevid Broadfeather has been sent home to rest during a three-month interlude. But when he returns to find the king drake has chosen Beckah Derrick as his new rider, Jaevid realizes something big is about to happen. 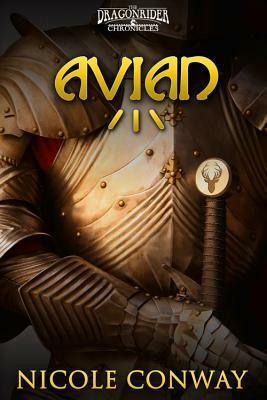 Every fiber of his being is pushed to the breaking point as Jaevid battles through his avian year, preparing for the final graduation test of the battle scenario. But there is more standing in his way than a few pushups and fancy sword moves. Jaevid must face a new fear as he is tormented by a gruesome nightmare of a mysterious gray elf warrior murdering the royal family of Maldobar. It seems obvious to him that this is some kind of message about how the war started long ago--until Felix assures him the king is very much alive. With his strange powers growing stronger by the day, and that violent dream replaying in his mind every night, Jaevid no longer wonders if he will pass his avian year or not--he wonders if he will even survive it. The truth will soon be set loose. Nicole Conway is a former freelance graphic artist for promotional companies and is now a full-time writer. She enjoys hiking, camping, shopping, cooking, and spending time with her family and friends. She is the author of Fledgling. She lives in Valdosta, Georgia.